Jean Le Rond d’Alembert – French mathematician, mechanician, physicist, philosopher, and music theorist. A French mathematician, philosopher, and writer, who achieved fame as a mathematician and scientist before acquiring a considerable reputation as a contributor to and editor of the famous Encyclopédie, Jean Le Rond d’Alembert was born on November 16, 1717, in Paris, France, d’Alembert was the illegitimate child of the writer Claudine Guérin de Tencin and the chevalier Louis-Camus Destouches (an artillery officer). He considered mathematics the ideal form of knowledge, and the laws of physics to be the fundamental principles of the world. His “Traité de dynamique”, in which he expounded his own laws of motion, is one of his notable works. He did some outstanding developments in the field of mathematics, particularly, in the ‘foundations of mathematics’. The “d’Alembert theorem” and the “ratio tests” (a test to check if a “series” unites) developed by him is followed in mathematics even now. He expressed a fair amount of interest in physics as well, and thus, came up with the “d’Alembert operator”, which is vital in modern theoretical physics. As a mathematician and physicist, he received a reasonable reputation and was therefore chosen to edit articles on mathematics and physics for the French encyclopedia. Later he turned to philosophy, literature, and music. Some of his philosophical works were highly praised in the salons he attended. Read on to know more about this genius. D’Alembert was a rationalist and a materialist, believing the physical senses to be the most reliable source of knowledge about the universe. He was co-editor with Denis Diderot of the Encyclopédie, ou dictionnaire raisonné des sciences, des arts et des métiers, the original French encyclopedia, and contributed over one thousand articles on science and mathematics. D’Alembert’s method for the wave equation is named after him. 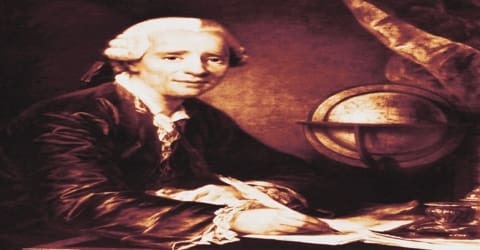 A great mathematician, philosopher and music theoretician, Jean Le Rond d’Alembert (French: ʒɑ̃ batist lə ʁɔ̃ dalɑ̃bɛːʁ), was born in Paris, on 16th November 1717, to an author Claudine Guérin de Tencin and an artillery officer Louis-Camus Destouches. He was their illegitimate child, for which his mother abandoned him on the steps of the Parisian church of Saint-Jean-le-Rond, a couple of days after his birth. It was there he received his Christian name, after the name of the patron saint of the church. He was then placed in an orphanage. After a brief stay at the orphanage, he was adopted by a glazier’s wife, upon Destouches’s recommendation. Though de Tencin never accepted d’Alembert as her son, Destouches did not abandon his son and in fact, even paid for d’Alembert’s education. Destouches died in 1726, leaving an annual allowance of 1200 French livres for d’Alembert. It was because of the influence of the Destouches that d’Alembert could enter a prestigious Jansenist school at the age of twelve. D’Alembert first attended a private school. Under the influence of the Destouches family, at the age of 12 d’Alembert entered the Jansenist Collège des Quatre-Nations (the institution was also known under the name “Collège Mazarin”). Here he studied philosophy, law, and the arts, graduating as baccalauréat en arts in 1735. In his later life, d’Alembert scorned the Cartesian principles he had been taught by the Jansenists: “physical promotion, innate ideas, and the vortices”. The Jansenists steered d’Alembert toward an ecclesiastical career, attempting to deter him from pursuits such as poetry and mathematics. Theology was, however, “rather unsubstantial fodder” for d’Alembert. He entered law school for two years and was nominated avocat in 1738. He was also interested in medicine and mathematics. Jean was first registered under the name “Daremberg”, but later changed it to “d’Alembert”. The name “d’Alembert” was proposed by Frederick the Great of Prussia for a suspected (but non-existent) moon of Venus. Jean Le Rond d’Alembert was a participant in several Parisian salons, particularly those of Marie Thérèse Rodet Geoffrin, of the marquise du Deffand and of Julie de Lespinasse. D’Alembert became infatuated with Mlle de Lespinasse, and eventually took up residence with her. In July 1739 Jean Le Rond d’Alembert made his first contribution to the field of mathematics, pointing out the errors he had detected in Analyse démontrée (published 1708 by Charles-René Reynaud) in a communication addressed to the Académie des Sciences. At the time L’analyse démontrée was a standard work, which d’Alembert himself had used to study the foundations of mathematics. D’Alembert was also a Latin scholar of some note and worked in the latter part of his life on a superb translation of Tacitus, for which he received wide praise including that of Denis Diderot. In 1740, D’Alembert submitted his second scientific work on fluid mechanics. In May 1741, after three unsuccessful applications, d’Alembert was admitted to the Paris Academy of Science, on the strength of these papers and his work on integral calculus. In 1743, at the age of 26, D’Alembert published his important Traité de dynamique, a fundamental treatise on dynamics containing the famous “d’Alembert’s principle,” which states that Newton’s third law of motion (for every action there is an equal and opposite reaction) is true for bodies that are free to move as well as for bodies rigidly fixed. Other mathematical works followed very rapidly; in 1744 he applied his principle to the theory of equilibrium and motion of fluids, in his Traité de l’équilibre et du Mouvement des fluids. This discovery was followed by the development of partial differential equations, a branch of the theory of calculus, the first papers on which were published in his Réflexions sur la cause générale des vents (1747). It won him a prize at the Berlin Academy, to which he was elected the same year. When the Encyclopédie was organized in the late 1740s, d’Alembert was engaged as co-editor (for mathematics and science) with Diderot and served until a series of crises temporarily interrupted the publication in 1757. He authored over a thousand articles for it, including the famous Preliminary Discourse. D’Alembert “abandoned the foundation of Materialism” when he “doubted whether there exists outside us anything corresponding to what we suppose we see.” In this way, d’Alembert agreed with the Idealist Berkeley and anticipated the transcendental idealism of Kant. In 1747 D’Alembert applied his new calculus to the problem of vibrating strings, in his Recherches sur les cordes vibrantes; in 1749 he furnished a method of applying his principles to the motion of any body of a given shape; and in 1749 he found an explanation of the precession of the equinoxes (a gradual change in the position of the Earth’s orbit), determined its characteristics, and explained the phenomenon of the nutation (nodding) of the Earth’s axis, in Recherches sur la précession des équinoxes et sur la nutation de l’axe de la terre. In 1752, D’Alembert published his “Essai d’une nouvelle théorie de la résistance des fluids”, a thesis illustrating that the “drag” on a body submersed in an incompressible elastic fluid is zero. d’Alembert’ himself was quite unhappy with the conclusion, which eventually came to be known as the “d’Alembert’s paradox”. He was elected a member of the French Academy in 1754. From 1754 to 1756, he worked on a solution to the problem of the perturbations (deviations of orbits) of the planets. In between 1761 and 1780, D’Alembert collected his mathematical articles and published them as “Opuscules mathématiques” in eight volumes. d’Alembert believed that science was only the source or true and pure knowledge and the only means of improving and educating the society. He served as editor of the scientific and mathematical articles, in 1746. 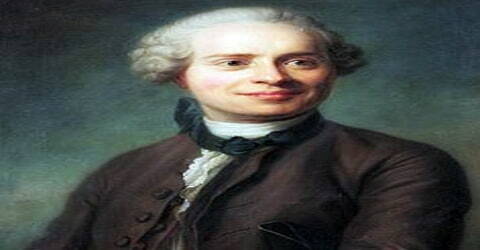 D’Alembert believed that mathematics was the ideal form of knowledge and that physics was basic science. He regarded mechanics as a part of mathematics, like algebra or geometry, based on certain necessary principles from which all phenomena could be deduced by the application of mathematical methods. Much of his work was done through mathematical deduction rather than through the collection and study of experimental evidence, a method which was criticized by his fellow scientists. In 1757, an article by d’Alembert in the seventh volume of the Encyclopedia suggested that the Geneva clergymen had moved from Calvinism to pure Socinianism, basing this on information provided by Voltaire. The Pastors of Geneva were indignant and appointed a committee to answer these charges. Under pressure from Jacob Vernes, Jean-Jacques Rousseau and others, d’Alembert eventually made the excuse that he considered anyone who did not accept the Church of Rome to be a Socinianist, and that was all he meant, and he abstained from further work on the encyclopedia following his response to the critique. He was elected a Foreign Honorary Member of the American Academy of Arts and Sciences in 1781. D’Alembert’s first philosophical work was “Discours préliminaire” to the “Encyclopédie” in 1751. Even when d’Alembert was engrossed in his mathematical works, he worked as a translator of the Chambers’s English “Cyclopaedia” in collaboration with Denis Diderot. He wrote the preface of Volume III of the Encyclopédie, which was intended towards the attacks made on the Encyclopédie by the orthodox and religious Jesuits. The Jesuits were of the opinion that the Encyclopédie was anti-religious in nature. D’Alembert actively participated in the debate over Italian music as well. He came up with “Lettre sur la musique française” in 1753, to support the French music. He had already published his “Éléments de musique” (1752) prior to this, which was based on Jean-Philippe Rameau’s theories on harmonics. d’Alembert published his philosophical work “Mélanges de littérature et de philosophie” in 1753. The fourth volume was added in 1759 and the fifth in 1767. D’Alembert also discussed various aspects of the state of music in his celebrated Discours préliminaire of Diderot’s Encyclopédie. D’Alembert claims that, compared to the other arts, music, “which speaks simultaneously to the imagination and the senses,” has not been able to represent or imitate as much of reality because of the “lack of sufficient inventiveness and resourcefulness of those who cultivate it.” He wanted the musical expression to deal with all physical sensations rather than merely the passions alone. D’Alembert believed that modern (Baroque) music had only achieved perfection in his age, as there existed no classical Greek models to study and imitate. He claimed that “time destroyed all models which the ancients may have left us in this genre.” He praises Rameau as “that manly, courageous, and fruitful genius” who picked up the slack left by Jean-Baptiste Lully in the French musical arts. In 1765 a serious illness compelled him to leave his foster-mother’s house, and he eventually went to live in the house of Julie de Lespinasse, with whom he fell in love. D’Alembert was the leading intellectual figure in her salon, which became an important recruiting center for the French Academy. Although they may have been intimate for a short time, d’Alembert soon had to be satisfied with the role of steadfast friend. He discovered the extent of her passionate involvement with other men only after Julie’s death in 1776. He transferred his home to an apartment at the Louvre to which he was entitled as secretary to the Academy where he died. Jean Le Rond d’Alembert suffered bad health for many years and his death was as the result of a urinary bladder illness. As a known unbeliever, D’Alembert was buried in a common unmarked grave. 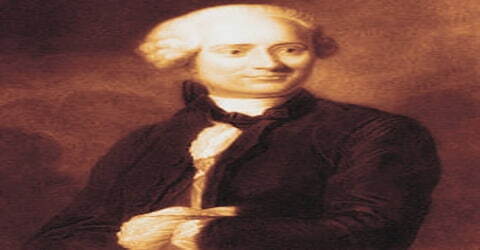 D’Alembert created his ratio test commonly known as the d’Alembert’s ratio test. The fundamental theorem of algebra in France is known as d’Alembert theorem. Also, the famous wave operator or the d’Alembert operator is useful in modern theoretical physics. His contribution to mathematics and physics is highly revered for its important role in the development of science.